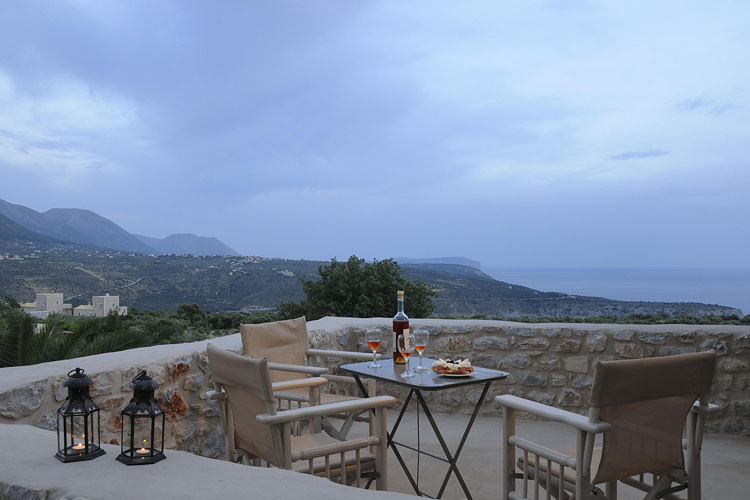 Omales, 23062, Areopoli, Laconia, Peloponnese, GREECE. 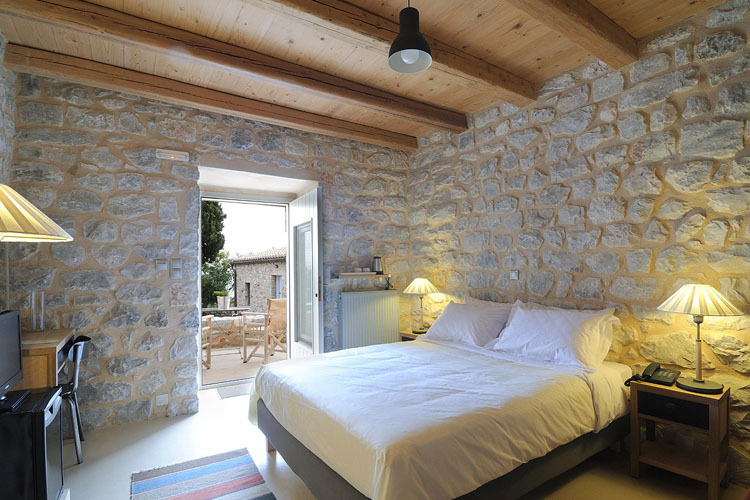 This charming boutique property is located in Omales, near Areopoli, in the heart of the Mani peninsula, and is set in a unique settlement consisting of four historic buildings and three independent dwellings arranged around a central courtyard. 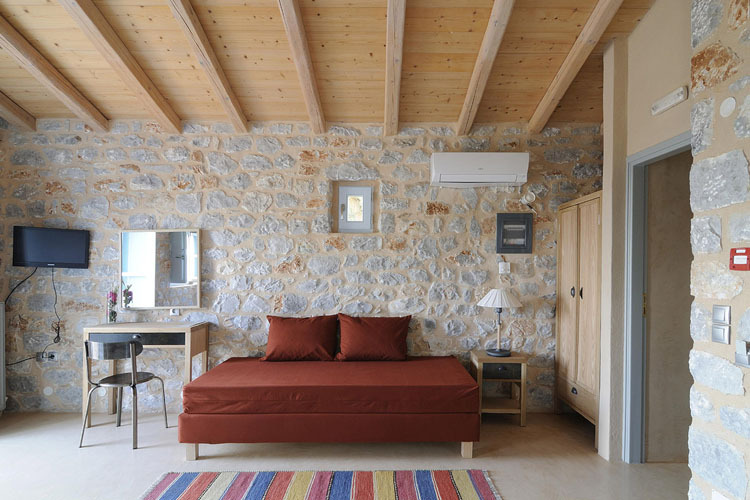 After a laborious restoration process, Antares Hotel Mani now offers comfortable, environmentally-friendly bed and breakfast accommodation in a quiet rural setting. 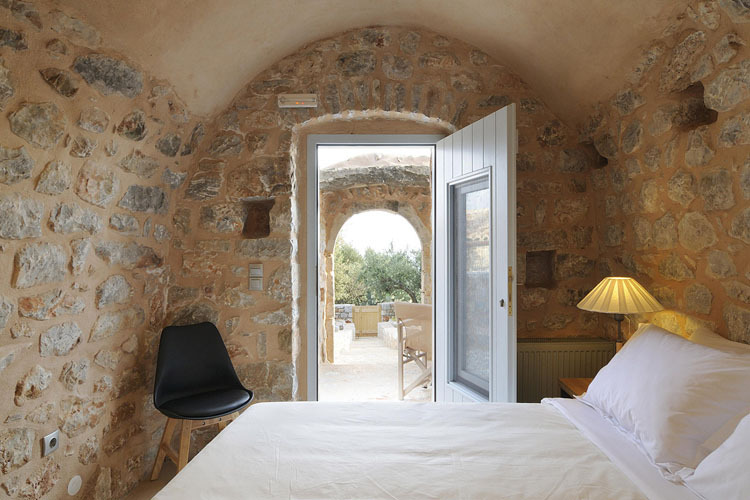 Ideal for exploring this fascinating region, Antares Hotel Mani is within easy reach of the most important landmark of the region, the spectacular Diros caves. 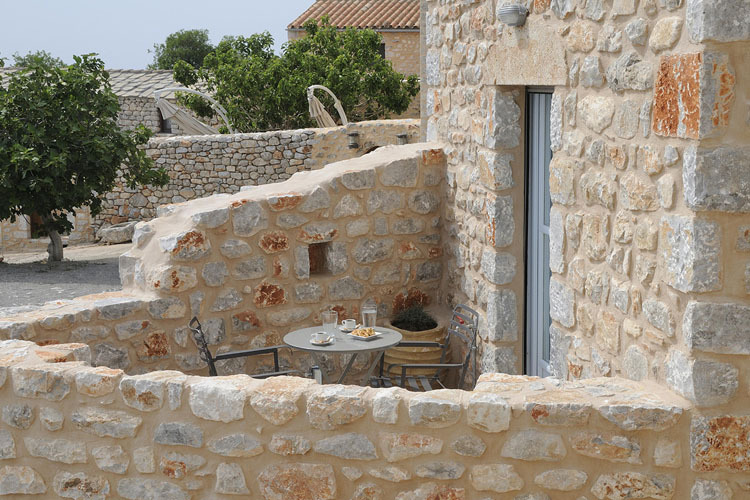 The charming coastal villages of Limeni and Itilo are also close at hand. 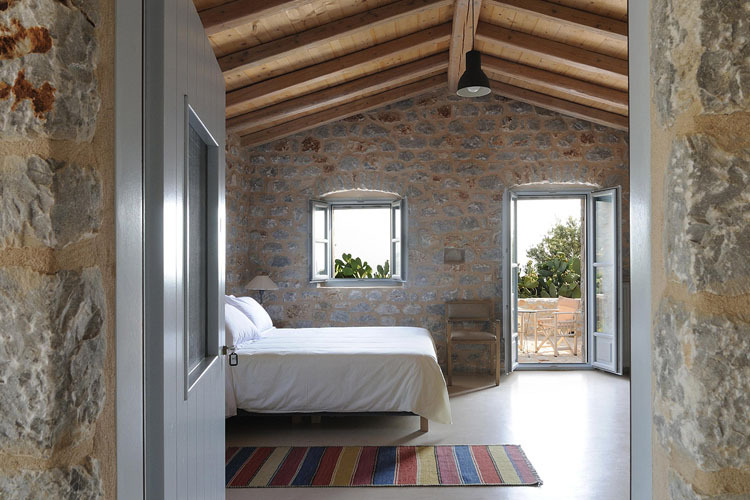 Accommodation at Antares Hotel Mani consists of just 12 individually designed and decorated rooms, all with views to the sea and the south and independent entrance and terraces. 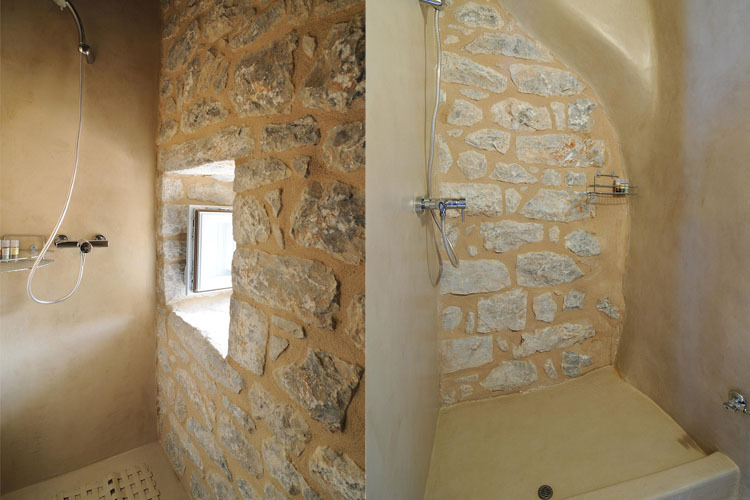 Due to their unique stone construction, they remain cool in summer months and warm in winter. 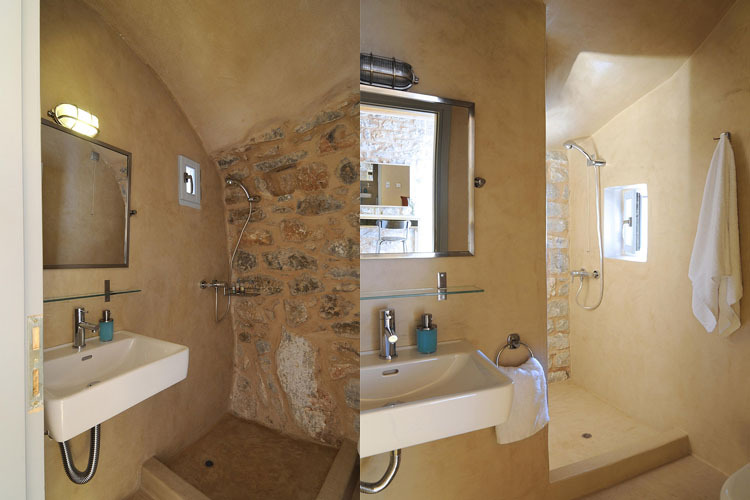 They feature interior design by the artist Sparti Linardaki, who used natural textures, materials and unique elements from Mani to complete this delightful work of renovation. 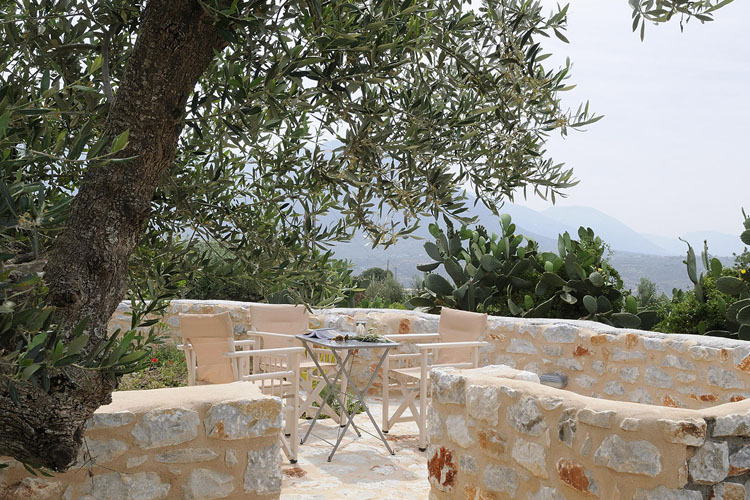 Wild flowers, plants and herbs of the flora of the Mani region compliment the garden, patios and inner courtyard, where a freshly prepared breakfast is served every morning. These charming rooms are located on the first or second floor of the 18th century tower, and offer fine views of the gardens and the sea. 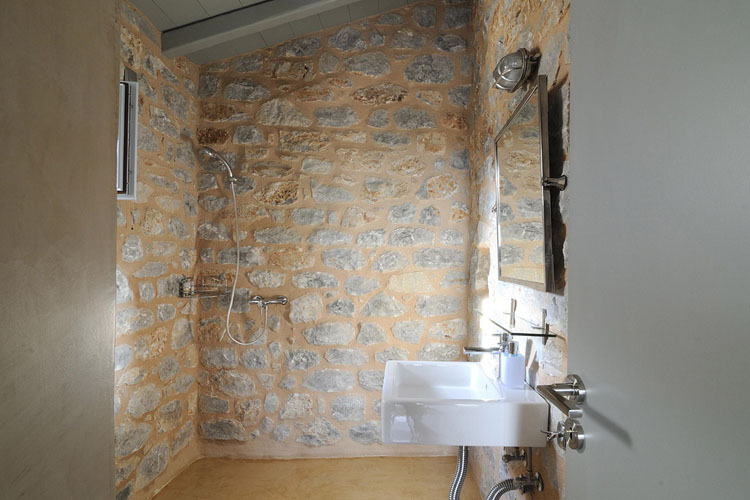 They come with a flat-screen TV, free Wi-Fi and complimentary toiletries. One queen-size bed. 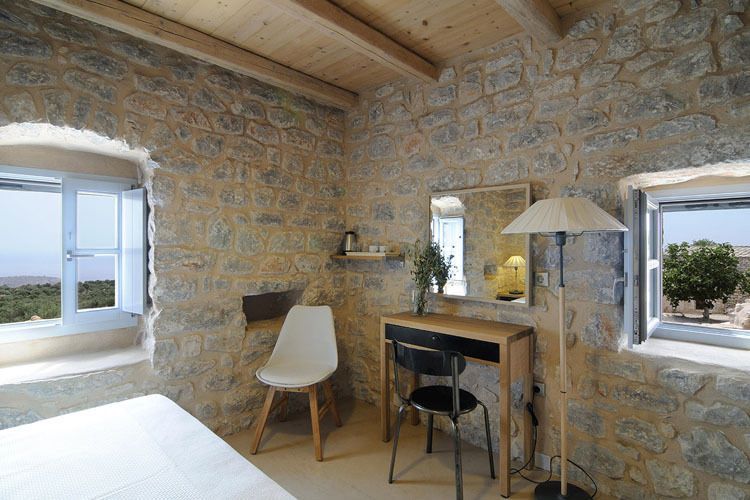 Room size 14-15 sq m.
These stone-built rooms are located on the ground floor or the first floor, and have a private terrace and direct access to a garden. 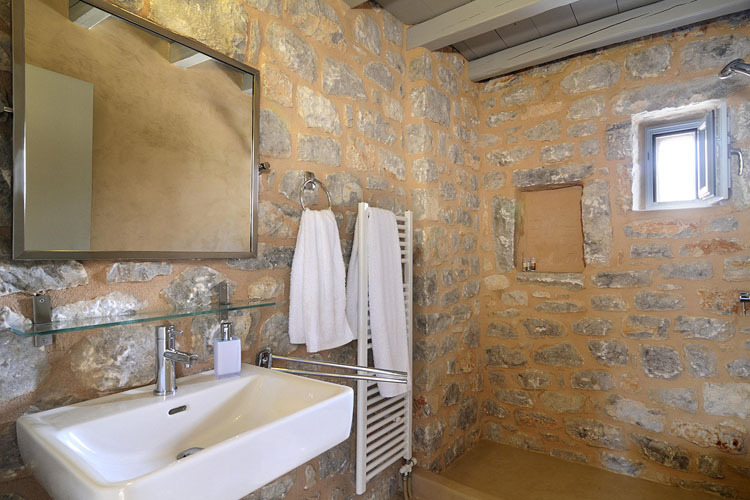 They come with with complimentary toiletries, a flat-screen satellite TV, free Wi-Fi, sea and garden views. One queen-size bed. 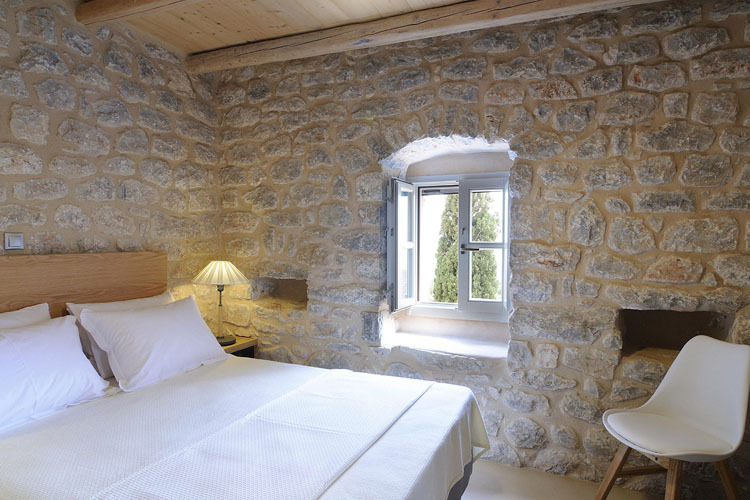 Room size 15 sq m.
These larger stone-built rooms are situated on the ground, first and second floors, and feature a living area and a furnished balcony or terrace overlooking the Messenian Gulf. 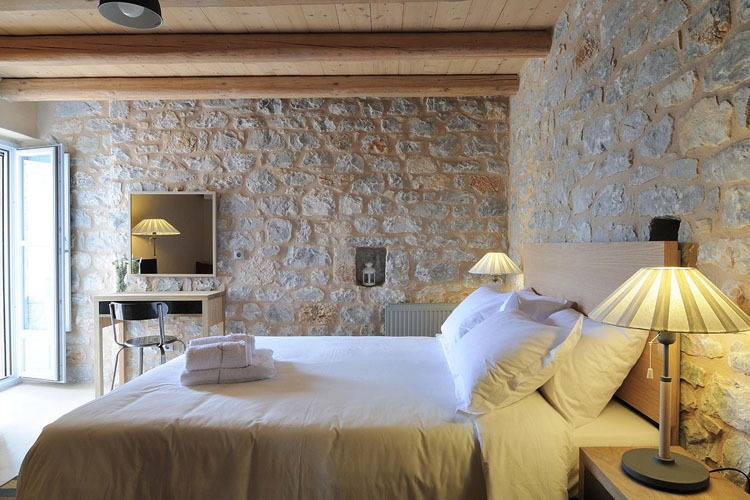 These rooms come with a flat-screen satellite TV, mini fridge, bathrobes and slippers. One queen-size bed, one sofa bed. 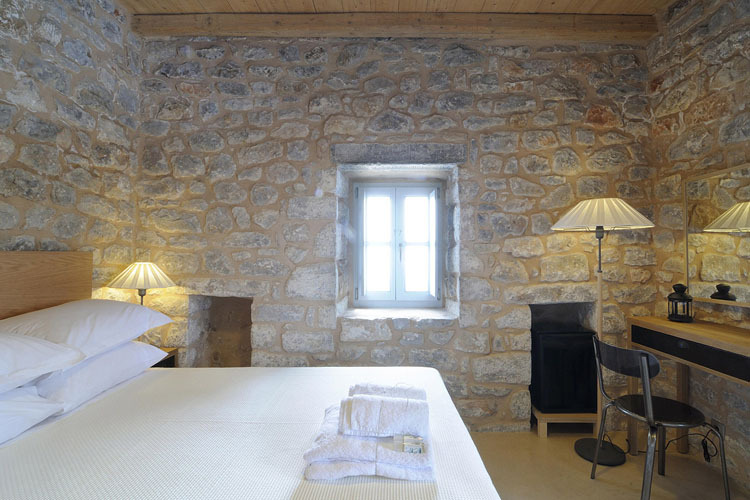 Room size 25 sq m.
Offering more space and a living area, these stone-built suites features a furnished balcony overlooking the Messenian Gulf. Entirely independent from the main building, they have direct access to the garden. 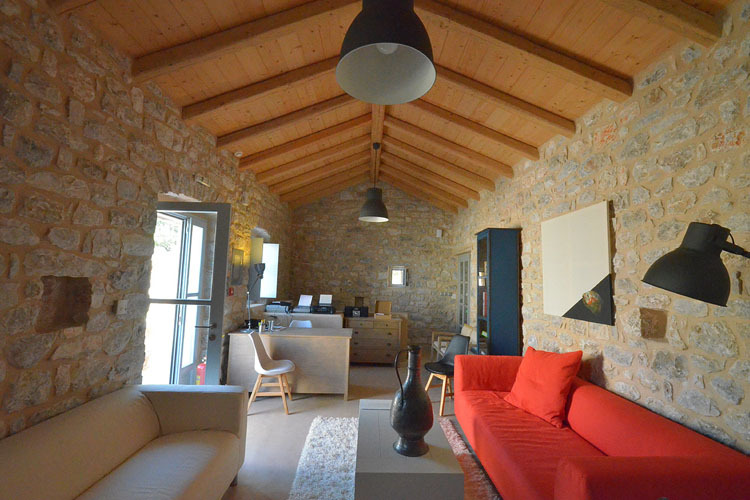 They include: a flat-screen satellite TV, a mini fridge, bathrobes and slippers. One queen-size bed, one sofa bed. 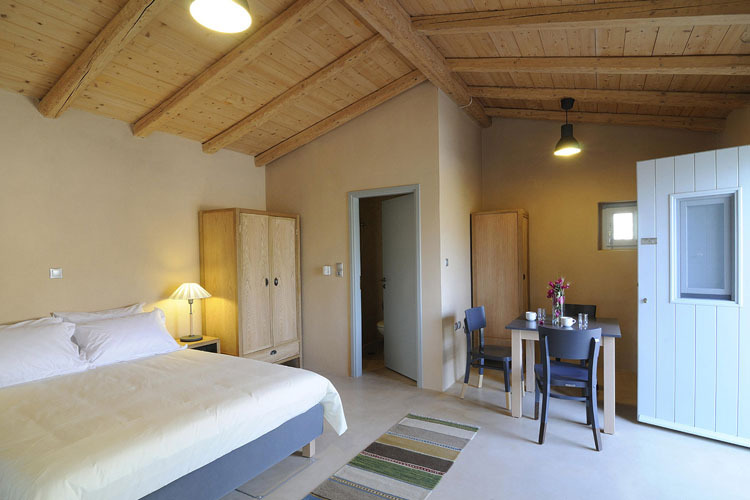 Suite size 23 to 29 sq m.
All rooms feature complimentary wireless internet access; flat-screen TV; independent heating and air-conditioning; a small fridge; tea and coffee making facilities; safe for valuables; Korres natural products; hair-dryer. 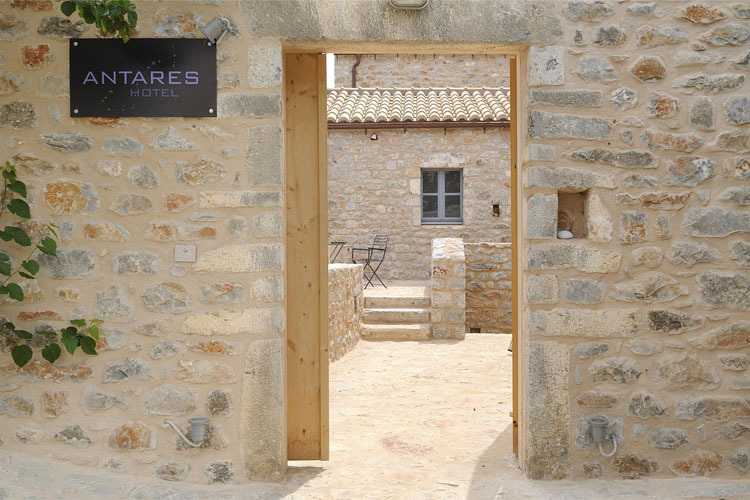 Children aged 12 and over are welcome at Antares Hotel Mani. 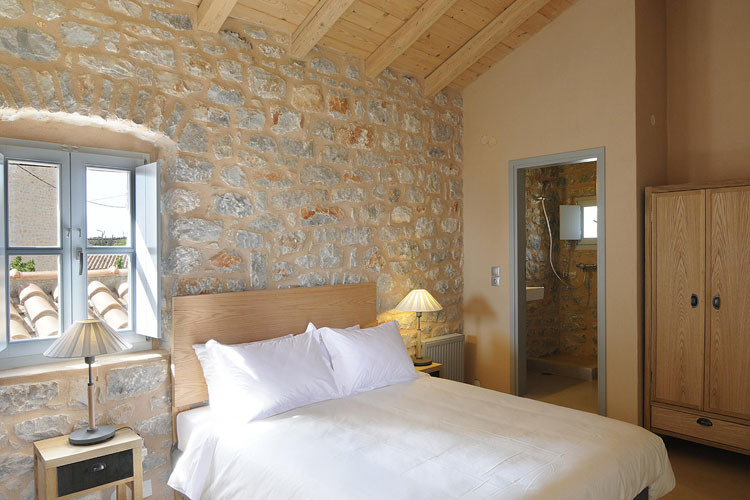 Nearest airport: Kalamata International Airport - 91,1 km. Beach Diros - 9,4 km.